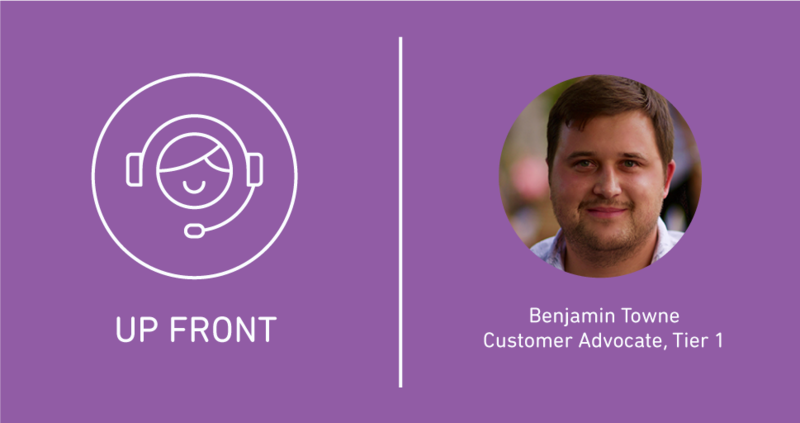 Meet Benjamin, a veteran Tier 1 advocate working from Zendesk’s Madison, Wisconsin office. 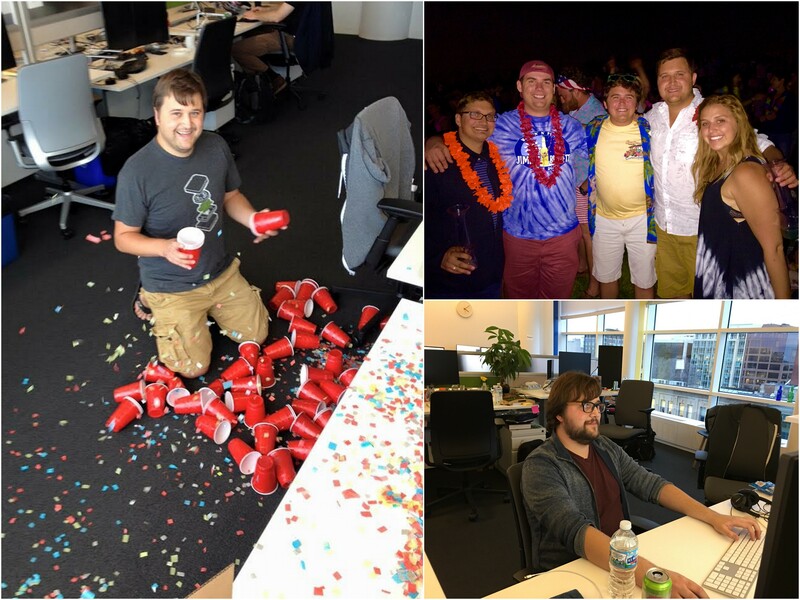 When he joined Zendesk, the Madison office was less an office and more a basement, and the team much smaller than it is today. Many of his colleagues cut their support teeth, as he did, at DoIT Help Desk in Madison. It’s where he grew to love support as a profession—making people happy, helping to champion a product, and to remove frustration centered around technology. Since Benjamin is one of the team’s go-to guys, we wanted to get the skinny on how to provide feedback to mentees that is constructive and morale-building. Fun fact about you? My parents’ black lab recently had six puppies and I’m planning on kidnapping them all. Also, I’ve owned every iPhone model that has come out so far. Best watering hole in Madison? The Merchant. They have amazing craft cocktails. When mentoring other advocates, what can you do to make your feedback feel less like criticism? What aspects of the mentor program do mentees really respond to? Most advocates respond well to good advice. If, for example, they typed out a response that needs work, it’s best to let them know and not beat around the bush. You want to say, “Hey, that’s a good response, but it can be even better.” Then let them know what needs improvement. For me, a lot of the time, it’s asking: “Is that a response you would want to read?” or “ If you got this, would it make sense to you?” Sometimes advocates will type out these novels and I’ve got to say, “There’s no way a customer is going to enjoy reading this.” Maybe it’s a question of rephrasing, or maybe it is easy reading but looks like a huge brick of text that needs better formatting or some screenshots. I think most of our advice is around making our responses more inviting, in one way or another, and less about an advocate doing something wrong. I also think it’s really good to make a mentee feel like they aren’t just another employee. They’ve been brought into a family or a team, and they have someone they can go to. A manager might ask an advocate to get something done, but a mentor is there to help them do it. Your old mentees should always be able to come up and still ask questions. It’s also is a great way to form relationships with new coworkers. We review tickets but we also have meetings just to talk and get to know each other. Sometimes these meetings happen over lunch or we’ll take a walk, just to get outside the office and not feel like it’s so work-related. Part of being mentored is to have all your tickets reviewed. Can you walk me through what you’re checking for as a ‘ticket reviewer’? Sure, there’s basically two phases to it: first, we review test tickets for new hires. I’m looking for at their general responses to fake tickets to see whether they have good soft skills and are taking the time to read through and understand the question properly. That’s really important. Before we worry about product knowledge, we want to make sure the advocate is nice and courteous to the customer, and that they don’t sound like robots or aren’t too in-your-face with answers. The tone will be different at every company, but we want our advocates to be personable, and for our customers to feel like we care and that we want them to be happy. The second phase is to review every real ticket before it goes out, and we do that for a couple weeks. The new advocate will add all their answers in a private note and put the ticket on hold. Then I set up a special view to show all the tickets assigned to that advocate. Whenever there’s a ticket ready in that view, I go over it and generally just give a thumbs up or provide some feedback in another internal note. In this case, I’m looking to make sure they gave the right answer, and that their spelling and grammar is correct, and that they’re using correct markdown. Sometimes I’ll go in and modify their answer or completely re-do it, and then the advocate can go back and see what I did differently and can respond to the customer and close the ticket.